Amazing modular home for great price of $130,000. There is a 12×12 front porch already built on. This modular home has vents in ceiling throughout, crown molding. The sellers are very willing they put in a new a/c 1 yr. ago and a roof 2 yrs ago. There is built in shelves and a fireplace in family area. The dining area & kitchen have wooden floors. All cabinetry is made with real wood in the kitchen. There is a large island in kitchen and great counter tops that resemble granite. All black matching appliances. All 4 bedrooms and 2 full baths are super spacious. Master bath is something to see with stone around tub,separate shower, his/her sinks. There is a 12×20 porch and 12×24 building out back that will stay with purchase!! Don’t miss out on this amazing home for sale in Shreveport. Now Announcing 2015 Betty St. in Shreveport for Sale Listed by Holloway Home Group. This home is a great starter home or great for first time home buyers. 2 bedroom 1 bath 1439 sqft. and selling for $126,000. The seller on this home is very motivated! Willing to negotiate update allowance if needed. In this home there is a dining area inside kitchen and 2 large living areas. 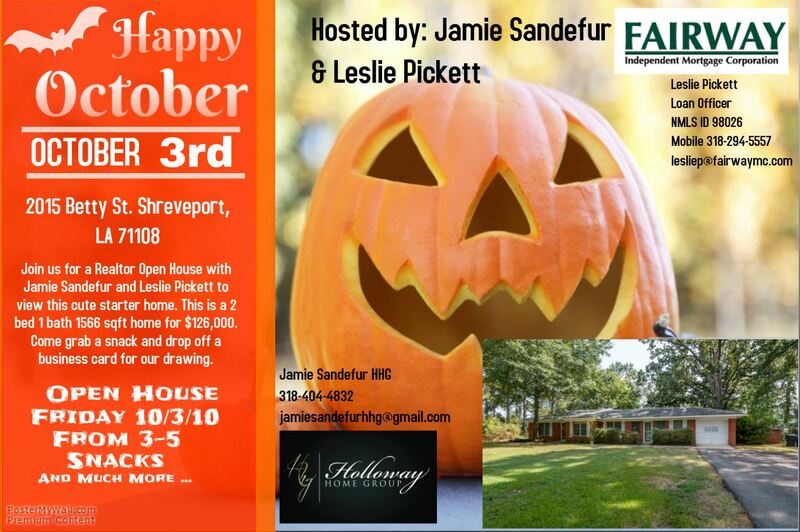 This Shreveport home is located off of Mansfield Rd. near all major businesses. Directly around the corner from the interstate. Once inside this home you will find the first carpeted living area connected to the kitchen and largest bedroom. Through the kitchen you will see all appliances in the corner out of the way of the kitchen area. Great dining area for dinner table, then 2nd living area which also has an exit to the front yard. Through the hall is the bathroom, storage closet and both bedrooms. This home also has large front and back yards. Call us today or search Shreveport homes for sale. Realtor Open House Friday 10/3/14 From 3-5 Join us!!! Trying something new is always good! HHG asked Darin Hines to help out with a few buyer leads and BAM in no time we had a closing!! Thanks for all of your help and hard work Darin!! This was an amazingly smooth closing with Mainstreet Title Co. and The Rinaudo’s were happy with their purchase. For more homes like this one search Shreveport homes for sale. This home is located in the Highland area of Shreveport. It sold for $103,000 and was listed for 174 days before our buyers came along ready to make an offer. Once the offer was submitted we were good to go on this contract. 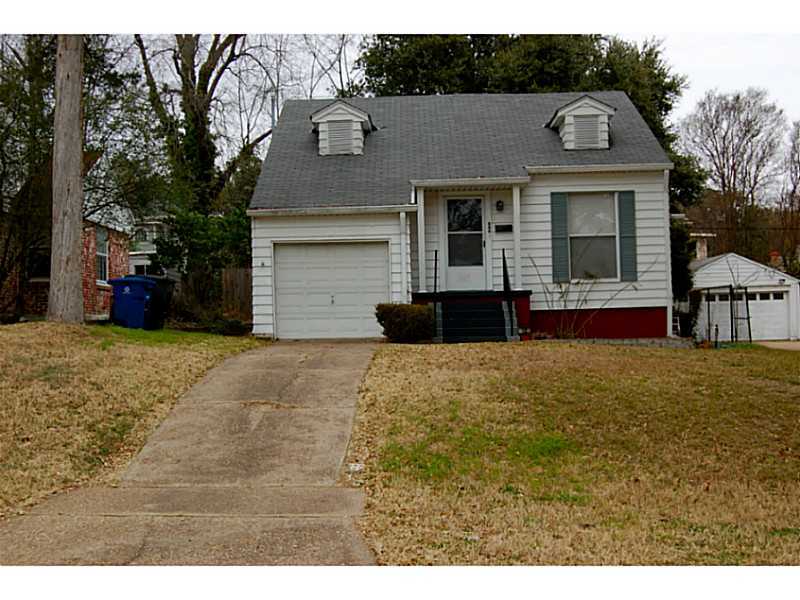 There are 2 beds 1 bath in this Shreveport home. 1 car garage and a fire place in living area. Sitting on almost 1 acre there is plenty of room for child’s play or pet play. The kitchen cabinets are all wooden and appliances are white. This is a great first time home buyers or investment home. 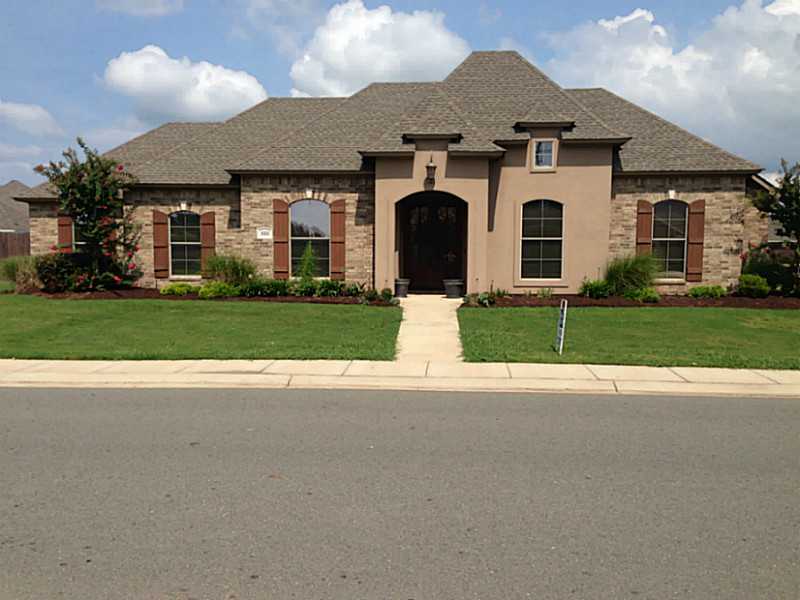 For more homes like this search Shreveport homes for sale. Last week was full of closings for HHG! This home is located in Bossier City and was only on the market for 2 weeks before our buyers The Daniels scooped it up!! This was an amazing closing and we appreciate everyone who helped us on this. 533 Antietam is located in The Gardens of Southgate. This is a lovely 4 bedroom 2 bath home. There is a 2 car garage and it was built in 2008. We put an offer on this home that got accepted right away and it was on from there! Closing was held at Bayou Title. South Bossier is more of the City part of Bossier. Many shops and restaurants near by! The Pierre Bossier Mall and Louisiana Boardwalk are also very close by. Try searching Bossier homes for sale to find your perfect home today!